This full day tour into the Sacred Valley is one of our favourites and a fascinating alternative to the more standard tours around Cusco city. Collecting you from your hotel at around 8am we begin with a relaxing drive for around 1.5 hours to the ancient city of Chinchero. The route we take offers spectacular views of the majestic Andes; what a way to start the day! 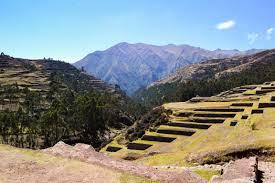 Arriving in Chinchero you will notice that much of the 12th Century Incan architecture still survives today. As we wander the busy cobbled streets, amongst the artisan street vendors selling their traditional handicrafts and costumes, it really will feel like a step back in time. Next we visit the Salt Mines at Maras, Located in the high plains above Urubamba, these ancient mines were created by the Incas but (thanks to the interest of some celebrity Peruvian chefs!) are still in use today. The thousands of pools or ‘pocitos’ are a spectacular site, each yielding around 150kg of salt per month. The famous Peruvian Pink Salt found in markets throughout Peru is sourced here at Maras. About 50km from Cusco, and a little off the beaten track, are the magnificent ruins of Moray which is our final stop of the day. The deep bowl-shaped hollows of Moray resemble a Roman amphitheater. Circular in shape, and with step-like terraces rising high above the valley floor, the exact purpose of these intriguing concentric terraces is only speculated, although it is widely believed to have been some kind of Incan agricultural laboratory! Here, sat amongst these spectacular ruins we will treat you to a sumptuous picnic lunch, cooked by a local chef. Finally we will drive you back through the spectacular scenery of the Sacred Valley, returning you to your hotel at around 530pm. As with all of our tours, our expert guides will accompany you at all times to share their deep knowledge of the sights and sounds of the tour. 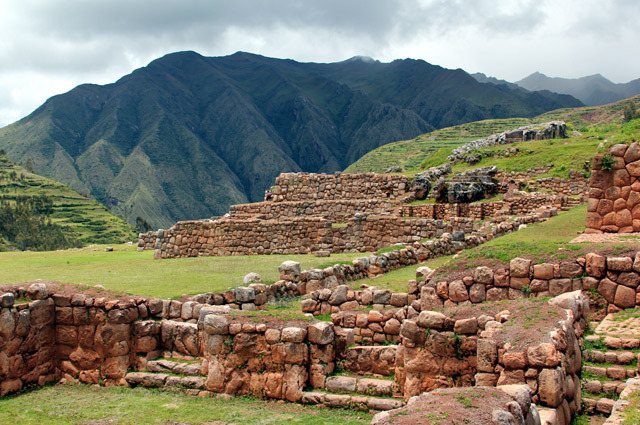 Tourist Pass (130 soles/$37 covers entrance to Pisac, Ollantaytambo, Chinchero, Moray, multiple museums in Cusco, and Sacsayhuaman or 70 soles/$23 which covers only some of these sites).